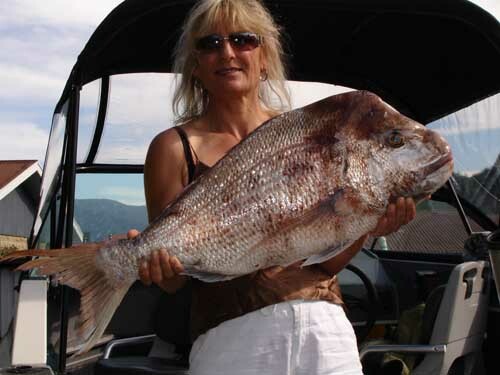 Auckland’s Outboard Boating Club (OBC) has taken a responsible and important step towards sustainability by changing the rules of all its fishing competitions from weight-based to length-based, which encourages competitors to return big fish to the sea. The new rules were put to the test at the recent Family Fishing Competition, the club’s largest contest, where over 260 participants were encouraged to play their part in protecting the long-term health of the fish stocks in the Hauraki Gulf. The event was run under the framework of the DB Export Fishing Competition, a measure-only event which was established five years ago. A survey of skippers has revealed that 70% of fish caught in the competition were released back to the sea, a figure the club hopes to build on in future competitions as it continues to educate members on the value of sustainable fishing. As well as being a much anticipated family event, the competition also serves as a fundraiser for the Auckland Rescue Helicopter Trust. Through angler donations and auctions, the event raised $3800 for the worthy cause. In addition to its single-day events, the club runs an ongoing annual competition and members can enter a length-based competition at any time throughout the year as it has its own leaderboard as part of the DB Export Fishing competition. OBC Commodore, Bill Berry is extremely happy with the results of the competition, “responsible Kiwis no longer want to see the biggest snapper die just for the chance to win a prize.